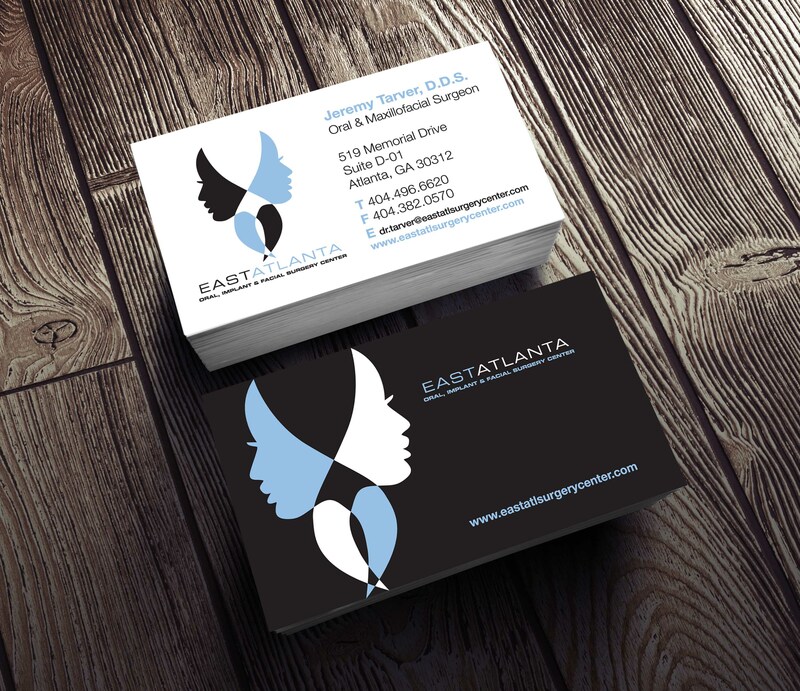 This is a logo, identity and collateral for East Atlanta Oral, Implant & Facial Surgery Center. The client is a oral surgeon who wanted a non traditional logo and was open to an abstract symbol. The office performs numerous types of facial surgeries and has a very contemporary spa like decor. 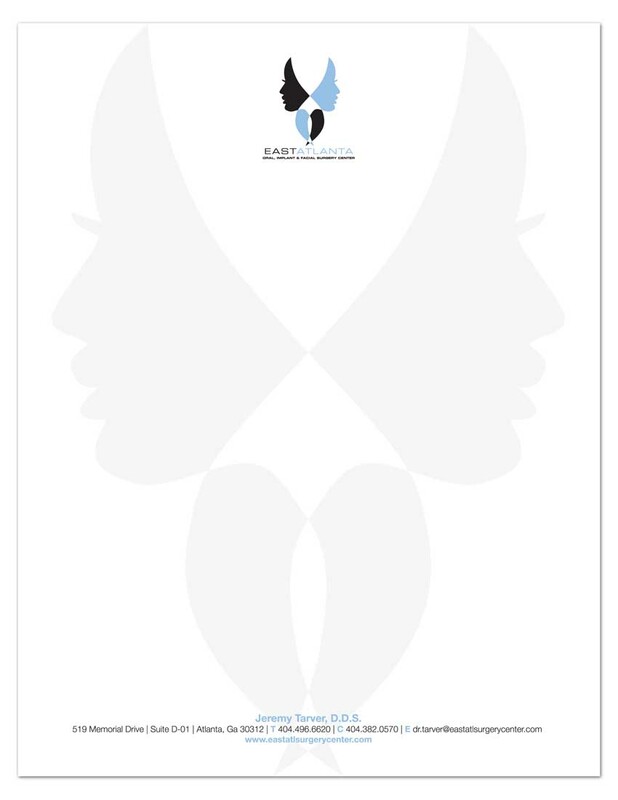 As a result, I created a symbol which focuses on the face, by intersecting two faces with a curved neck, and deleting the space where the shapes intersect to create an interesting area of negative space and an additional focus point for the logo. The identity includes 2 sided business cards, letterhead and envelope. 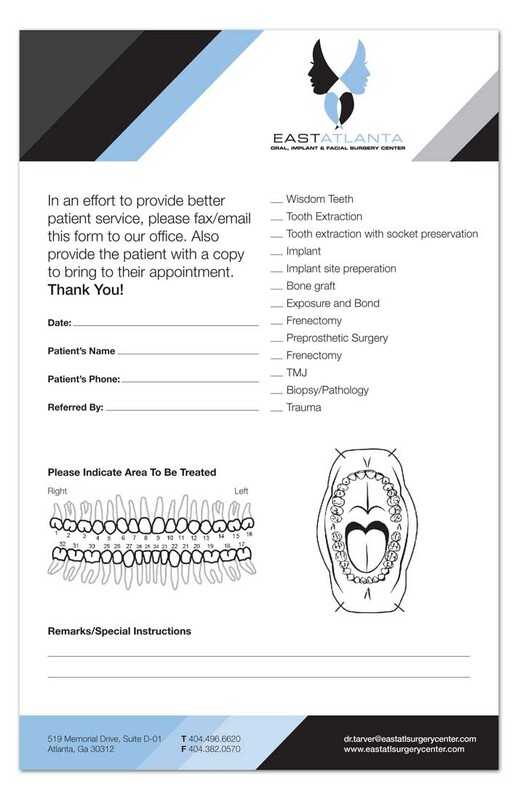 I also created a digital editable PDF referral sheet, that contains all the teeth, where referring physicians can mark the individual or multiple teeth within the mouth that need to be treated.